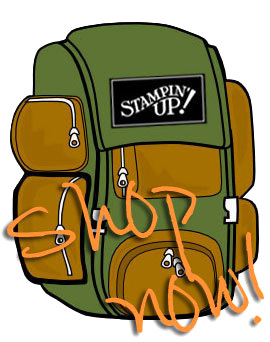 I recently missed out in participating in the Stamp Review Crew hop of the set Coffee Cafe. I don't like to miss out (FOMO), but we were having a relaxing time camping and biking in Jim Thorpe in the Poconos. Can't beat that! The good thing about missing the hop is the great ideas that come out of it. Sue Plote made a Twisted Card, and I thought that would be a great fold for Stamp Club. This is a perfect thank you card which holds a (coffee) gift card. 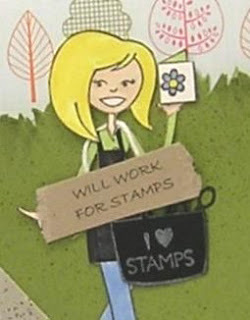 I followed Kelly Gettelfinger's tutorial on Splitcoaststampers. The Coffee Cups framelits comes with an outline die which will cut out images from the patterned paper (as seen on the inside of the card). Cool bonus! This card will fit into a standard greeting card envelope if you rotate it to the right slightly. 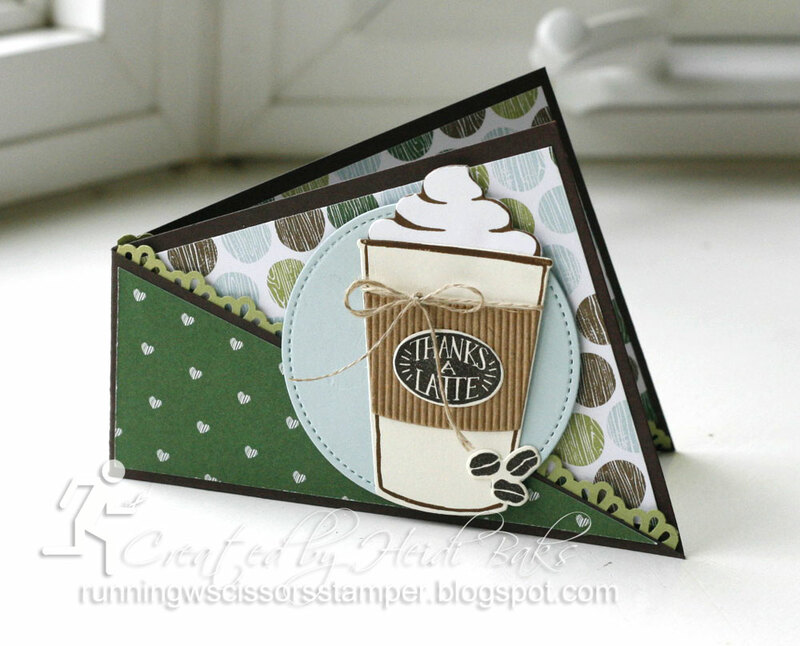 Stamps: Coffee Cafe; Paper: Soft Sky, Pear Pizzazz, Early Espresso, Very Vanilla, Whisper White, Kraft Corrugated Paper, Coffee Break DSP; Ink: Early Espresso; Accessories: Linen Thread, Decorative Ribbon Border Punch, Coffee Cups Framelits, Stitched Shapes Framelits, Big Shot, Dimensionals.